ATSM #144 Oh Happy Day or Not??? 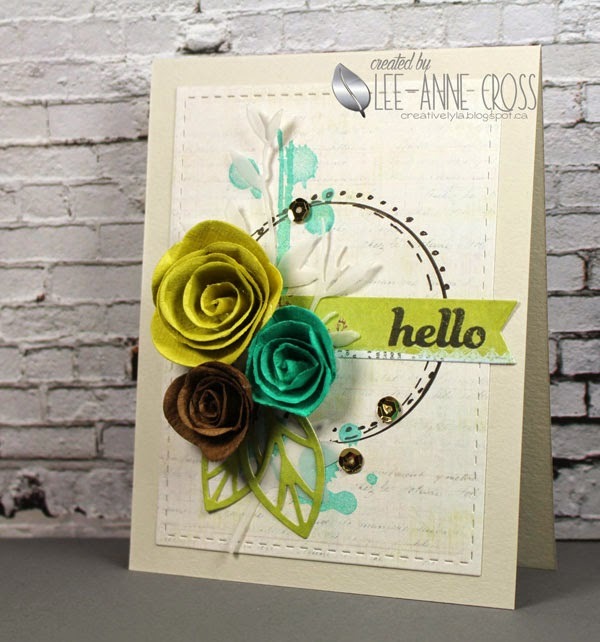 It’s a clean and simple challenge at Addicted to Stamps and More this week. Our sponsor is Sweet Pea Stamps and they are generously donating four digis from their store as the prize. Believe it or not, the floral and leaf images started out as a white pearl finish. After using my various watercolors, it actually stained the embossing, but sometimes you just have to go with the flow right? I decided to embrace the oops! So, here’s how it went. Embossed the leaves and florals in WHITE, heat set them and dropped in some Distress Inks and Kuretake Gansai watercolors. And here’s where it went awry…I tried to remove the watercolor from the embossing with a baby wipe, after gently blotting it with a rag. Then I splattered the background with a bit more watercolor and stamped the sentiment. Check out the rest of the Design Team cards right here. 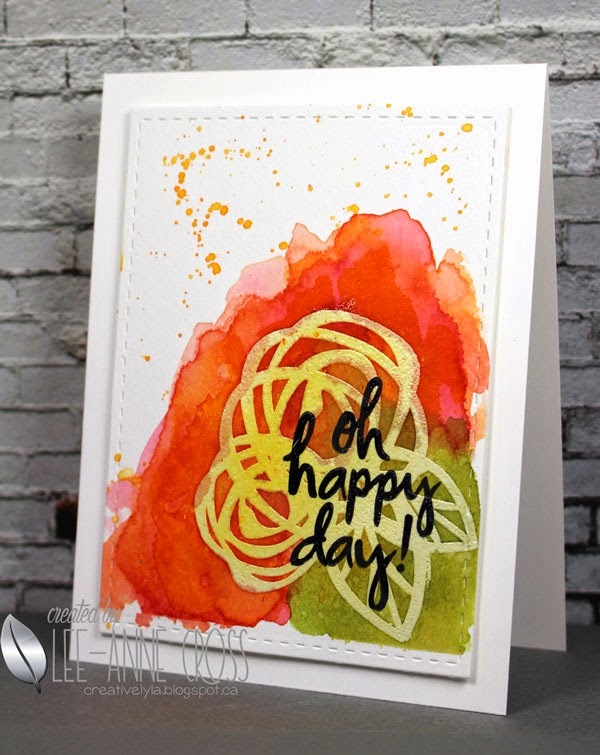 Author Lee-Anne Cross DesignsPosted on May 12, 2015 October 7, 2017 Categories Distress Inks, Essentials by Ellen, watercolor, Zig Kuretake20 Comments on ATSM #144 Oh Happy Day or Not?? ?